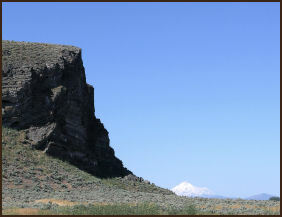 Prior to John Fremont’s visit to what is now Modoc County and later occupation by the US Army, this beautiful land was inhabited by the Achomawi (Pit River tribe), the Modocs in the northern regions, and the Paiutes, who lived mostly east of the Warner Mountains. Many locations, public and secret, throughout the county commemorate the successful life ways of these hunter gatherer tribes. The Modoc County museum, in Alturas, contains much history about hunting, farming, religion, and culture of the Achomawi, the Modocs, and the Paiutes. 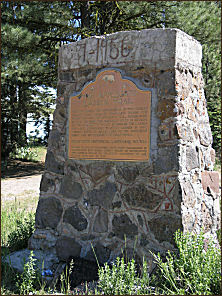 The 1840s brought the first white pioneers who crossed Fandango Pass on the way to California and Oregon. The Applegate and Lassen Trails met on Fandango Pass, with the Oregon Trail crossing Goose Lake north to Oregon, and the Applegate Trail heading south from the lake toward Susanville. 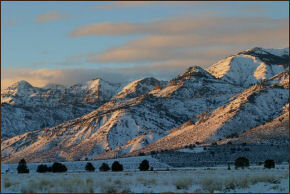 Many settlers remained in Surprise Valley, to the east of the Warner Mountains. Later, many families returned to the Warm Springs Valley to farm and ranch. The Dorris family settled in the valley in 1870 and established the community of Dorris Bridge. Modoc County was separated from Siskiyou County in 1874. Discussion about the county’s name ranged from Canby to Summit. It is an interesting note that the citizens finally rejected Canby in favor of Modoc, after the Modocs who stood off General Canby for several months during the Modoc Wars. 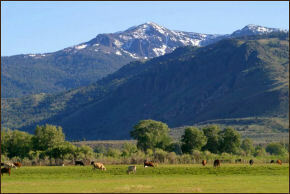 According to the 2001 US Census, there are about 9,300 people in Modoc County; there are about 25,000 cattle. To the north of Modoc County lies Oregon; to the east is Nevada. Lassen County is south, and Siskiyou County lies west of Modoc. There are 2,750,000 acres in Modoc County, with over 70 percent of that land belonging to the state and federal governments. elected to change the name to Alturas. Some say “Alturas” means “high land.” or “high valley.” “Alta” indeed means “high” but the accuracy of the rest of the claim remains a mystery. Two historic landmarks in Alturas are: the Niles Hotel, built in 1908, and purchased in 1912 by J. E. Niles. It was lovingly restored and enriched in the 1970s and 1980s by Steve and Cheryl Baker, and is now owned by the Vass family. 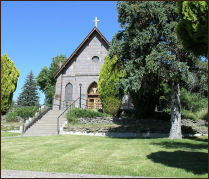 Sacred Heart Catholic Church, the oldest original standing church in Modoc, was quarried from local stone, as was Al Arena’s welding shop, originally a blacksmith enterprise. This old Southern Pacific steam driven engine, the last to be used in this area, was retired in the 1950s. 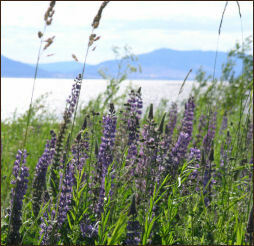 It sits at the southern end of Alturas in Rachel Dorris Park. The story goes that residents of this ranching community sat around a fire one evening, discussing the name for their town. Someone said, “It’s a likely place for a town, and Likely is a likely name for it.” The name stuck. The south fork of the Pit River meanders westward from Jess Valley through Likely, then north to Alturas. 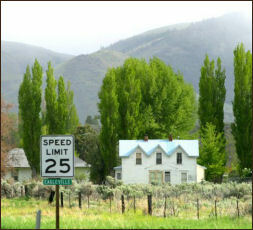 The town is shaded with ancient poplars and the homes along the main street, (Highway 395) are attractive with handsome. 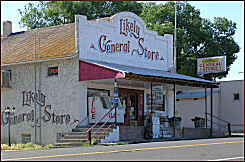 Likely has a busy general store and a restaurant–The Most Likely Cafe–used by residents and travelers. Riverside at Whitley’s Ford on the Pit River was the first name for this settlement in the northern part of Big Valley. At first it thrived, with nine business in the town, but when activities shifted to other parts of the valley, the town declined. 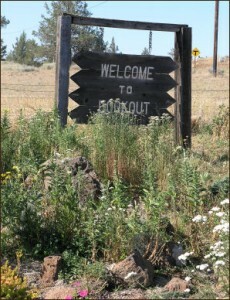 In the late 1870s and 1880s, the town was revived and rechristened as Lookout. 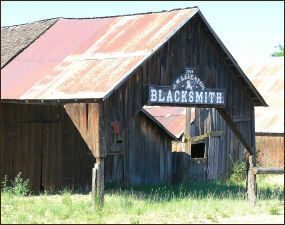 The blacksmith shop, still standing was built by J. W. Leventon in 1888. In 1901, Lookout received national attention for the “Lookout Lynchings,” during which a family of thieves was taken from the local jail and hanged from the Pit River Bridge. Today the community shows its pride with a wildflower garden at the entrance to the town. The Adin Store is the center of Adin activity. The excellent meat counter, the deli, and the antiques section are drawing points for the community and travelers. You’ll usually find Steve Gagnon there, cutting the steaks or making the sandwiches himself. After WW II, veterans were given priority in acquiring land under federal Homesteading provisions. Many families settled in the Tulelake Valley in northern Modoc County. Prime farming real estate was available after the Tulelake Reclamation project. Thousands of acres of rich farmland, fertilized by millions of years of lake life, opened up the valley to potato and grain farming, as well as cattle ranching. It is a friendly open farming community. The town itself stands on the site of one of the more nefarious institutions in U. S. History. During WW II, the area was used as a Japanese Internment Camp, housing nearly 20,000 Japanese Americans. It was the last of the ten camps in the United States to close. It was important to many Japanese Americans to be Magnificent Mt. Shasta is seemingly dwarfed by Newell Rockable to see a mountain. Beautiful Mt. Shasta was only 75 miles to the west. But unfortunately, the government located the camp just east of a huge sedimentary rock which blocked the view of Mt. Shasta. The residents of the camp then turned to Horse Mountain, which was immediately south of the facilities. Nearby, Captain Jack’s Stronghold can be visited. In this natural fort, Captain Jack and a group of Modocs bravely successfully held off General Canby of the U. S. Amy, for months before their eventual defeat. The Stronghold Store is named for this rocky area. 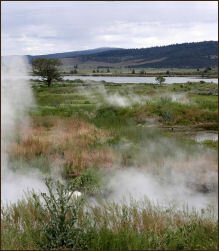 These hot springs near Canby, California are now used in a small fish farming operation Canby, California just south of Rattlesnake Butte, is named for General R. S. Canby. Today it is home to about 600 people, including the ISOT organization, which hosts a private school and was instrumental in writing a large grant for the new Canby Family Practice Clinic. 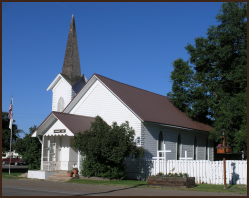 For a few weeks beginning with Thanksgiving and ending with Christmas, Canby becomes the most beautiful town in California, with numerous dioramas of the first European settlers Thanksgiving and many scenes from the birth and life of Christ. This friendly town is surrounded by hay farms and cattle ranches. Adin Mountain rises just to the southwest and the Pit River runs nearby. The hot springs has been host for many years to the annual Lions Easter Egg hunt for Modoc community children. The waters are hot enough to boil the eggs. Currently it is the home of a thriving fish hatchery business, which supplies the entire north state of California. 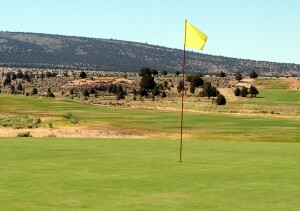 Cedarville, originally named Deep Creek Settlement, was home to the first Modoc County Euro-American business, a small trading post and general store, established by James Townsend. In 1865 Cressler and Bonner purchased the business and expanded into banking. (Other sources say that they arrived in 1867. ) 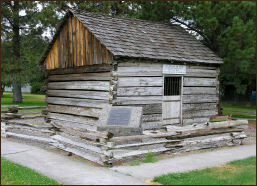 This original structure has been restored and is located on Center Street in Cedarville. (There are no cedars in the area. Deep Creek Settlement was renamed Cedarville for Bonner’s hometown in Ohio. 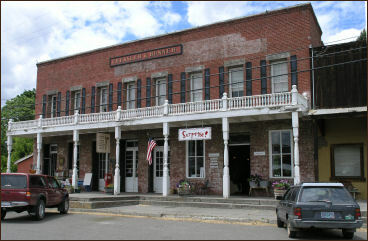 )Built inthe mid-1800s, the Cressler Bonner trading post was central to early Surprise Valley settlers. As their businesses prospered, Cressler and Bonner built the red brick building in 1884-85. That structure is now home to a book store and a saddleshop. 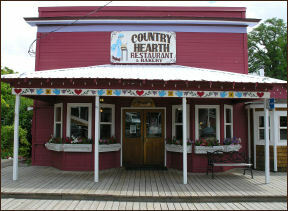 Popular Country Hearth restaurant in Surprise Valley. The Lake City flour mill , one of the first businesses in Surprise Valley, was built in 1867-68 by John Bucher, who used hand hewn timbers secured by wooden pegs. Bucher milled stone ground and graham flour and corn meal, with the mills powered by creek water. The death of the last owner closed the mill in 1968. Lake City’s former school house is now a private residence. 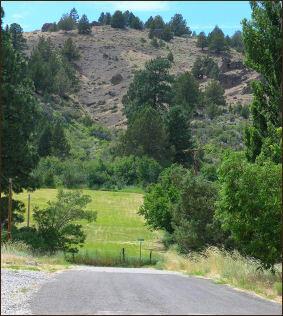 In the far northeastern corner of Modoc County, Fort Bidwell is a small and traditional community of ranchers and Paiutes. The town, named for John Bidwell, was established in 1865. The Bidwell fort, which operated until 1893, was one of the last early military posts north of Benicia to be abandoned. From 1898 to 1930, the fort served as a non-reservation boarding school for Indian children in the area. There is nothing left of the army barracks that gave the town its name. 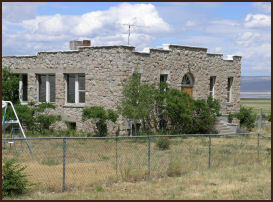 The Fort Bidwell school sits on a hill north of town, but Fort Bidwell children are bused to Cedarville. 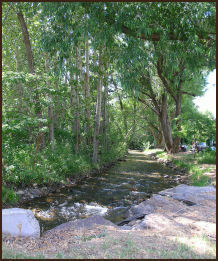 The Davis Creek area was developed in the 1920s with hopes of apple orchards and small farm subdivisions. There are a few ancient trees left, but most are gone. 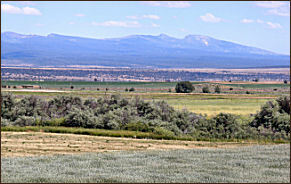 Davis Creek, like other towns in Modoc County, is a small ranching and farming community. Horses graze in town lots and cattle forage in bordering pastures. 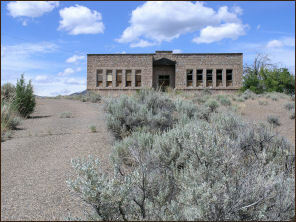 The Davis Creek store is a community center. 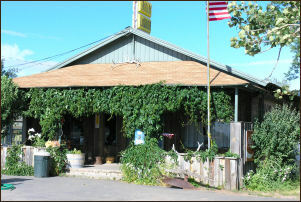 The Davis Creek store serves as a gathering place for the local people. There is a small restaurant, which serves excellent homemade food. The cheeseburgers are outstanding. The mercantile offers gasoline, groceries, and drygoods. The owners are friendly and eager to share county lore with visitors. New Pine Creek lies just over Fandango Pass from Fort Bidwell. On the state border, part of New Pine Creek is in California, and part in Oregon. The community is the gateway to two beautiful mountain lakes: Lily Lake and Cave Lake, and it sits Wild larkspur bloom on the shores of Goose Lake, just outside New Pine Creek.on the shores of Goose Lake. 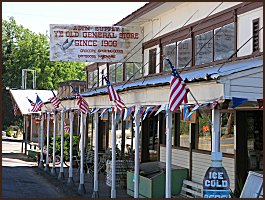 Several antique businesses and a general store are active in the town. A few miles south of New Pine Creek is Stringer Wild Plum Orchard and Winery. It is worth a stop for their excellent preserves and syrups.